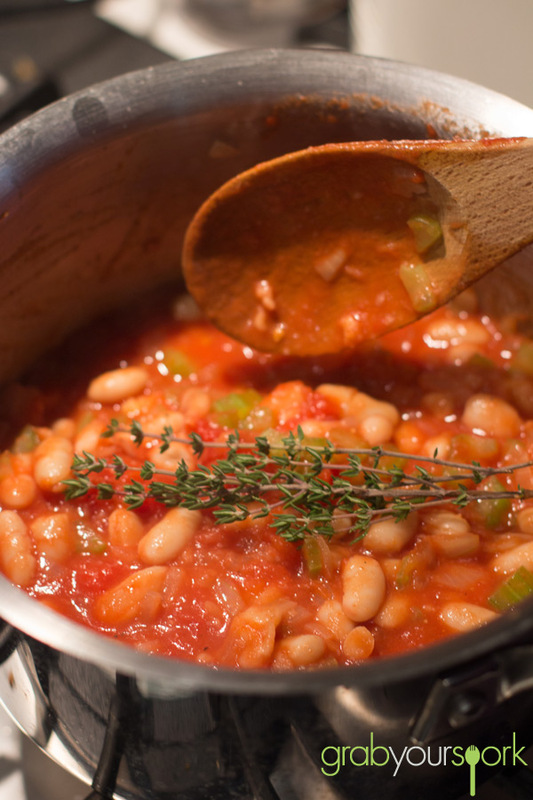 This post is a recipe for Tuscan Baked Beans. Last weekend Brooke and I decided it was time try a new cafe for breakfast and ventured out to Hawthorn, where we had a delicious breakfast at Who’s Harry? If you are in the area I would highly recommend stopping by – even just for a coffee. 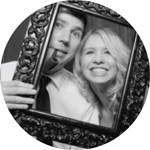 The staff were very friendly and the menu offers more than enough options to please many. While Brooke couldn’t look past the corn fritters and halloumi on the menu, I opted for poached eggs and toast with a side of house made baked beans. The baked beans were delicious! Packed full of Mediterranean flavour, they were the perfect accompaniment for a chilly morning. The only problem for Brooke, she had a little food envy and the next morning was on a mission to make some homemade beans for breakfast. Now this recipe is not traditional baked beans, but the flavour was great given how quick it was to make! Simply cook up some brown onion, celery, and garlic together with a tin of whole tomatoes and some tomato paste. Crush the tomatoes slightly before adding in a few sprigs of fresh thyme and the beans. Simmer on a low heat for 10 minutes, trying not to stir too much as you don’t want to make the beans mushy. In the last minute throw in a handful of kale (or spinach) for a bit of colour. The kale will wilt within seconds. 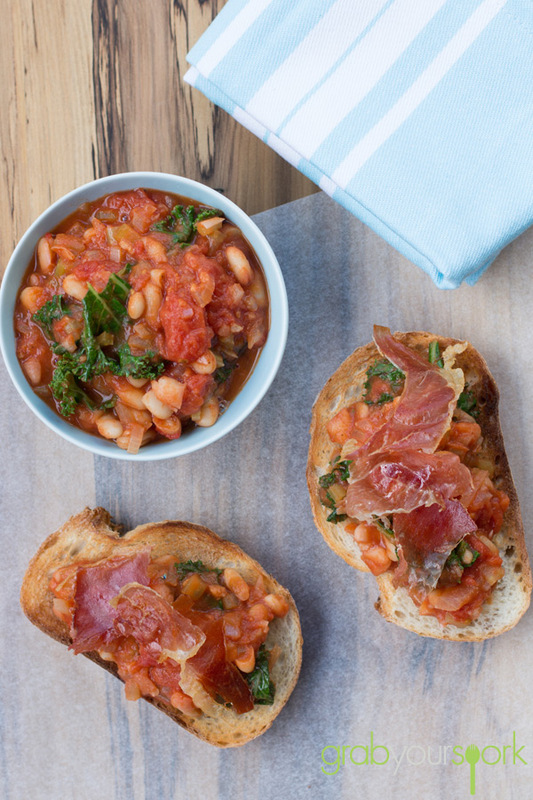 Brooke plated her delicious Tuscan baked beans on some crusty Noisette sourdough with a few pieces of crispy prosciutto to top it off! If you are looking for another savoury breakfast option then check out our savoury muffin recipe. 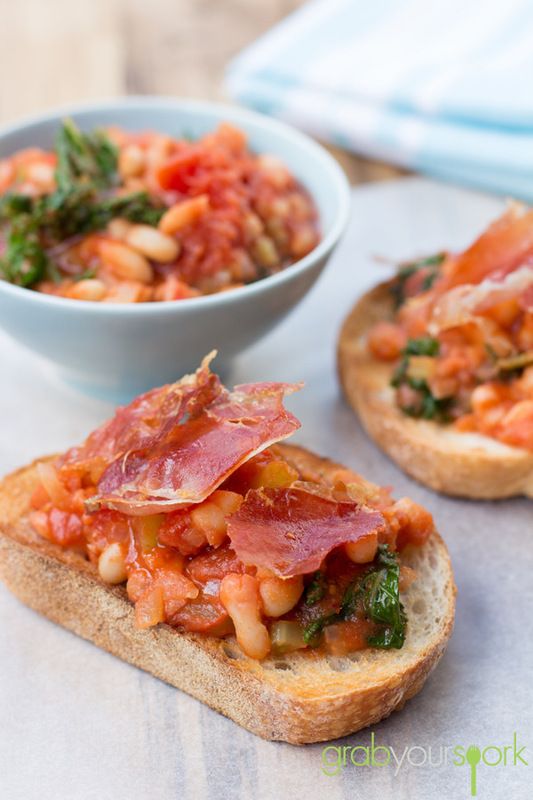 Delicious Tuscan baked beans served on crusty Noisette sourdough with crispy prosciutto to top it off! In a medium pot, sauté the onion, celery and garlic with a little olive oil for a couple of minutes till soft. Add tomato paste and tinned tomatoes, stirring and slightly crushing the tomatoes. Add in the thyme, leaving the springs whole. Add the beans, stir and leave to simmer for 10 minutes on a low heat. (Try not to stir the beans too much). Remove from the heat and gently stir through the kale. Serve with crusty bread or as a side.